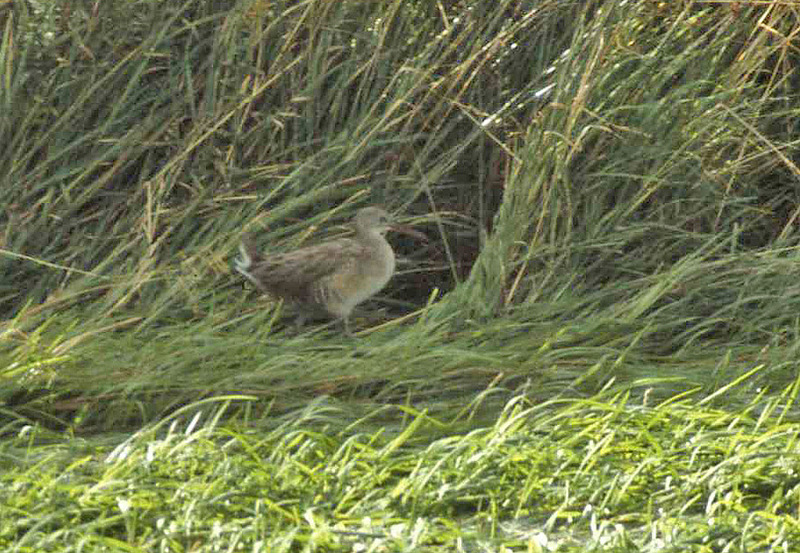 This Clapper Rail, photographed near Virgina Lake in October 1988, would have been the second confirmed record for Newfoundland. Origins: Breeds along the mid-Atlantic coast of North America, the Caribbean and South America, as well as California, Mexico and part of western South America. Record Details: Five records for Newfoundland. (1) The first record was in St. John’s on September 22, 1969. More recent records involve individuals at (2) St. John’s (October 8 -19, 1988); (3) Biscay Bay (October 19, 1993); (4) St. John’s (found freshly dead on October 22, 1993); and (5) Bear Cove, near Cappahayden (October 19, 1996). One historical record was described by Jame R. Ewing (date and location not included).